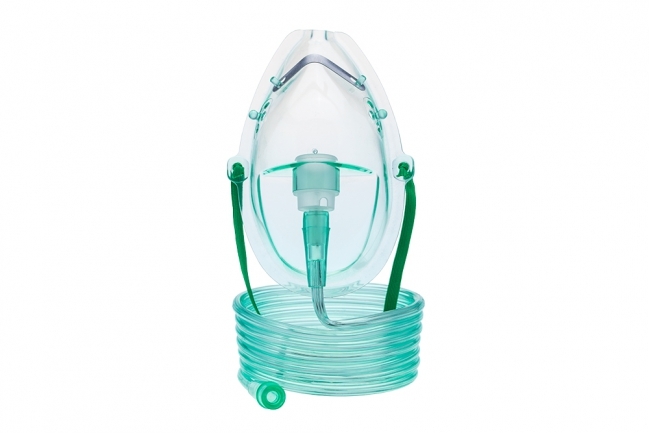 Design specifically for a breathing device that is placed over the mouth and nose, and it hooked up to an oxygen tank. It delivers oxygen dirrectly to the patient. This elongated mask fits under the chin for comfort on wide range of face sizes.